Tax time is, for many, one of the most stressful times of the year. But if you sit back and relax completely after filing your annuals, this may be part of the problem. In order to reduce stress at tax-time, it’s important to prep ahead — especially if you spent the two-weeks leading up to your filing date scrounging through receipts, guessing at your driving miles and crossing your fingers for the right deductions. If this accurately depicts you, it may be time to update your finance management. In addition to relieving stress, you will also reduce your audit rate, and open up more free time to spend with clients. 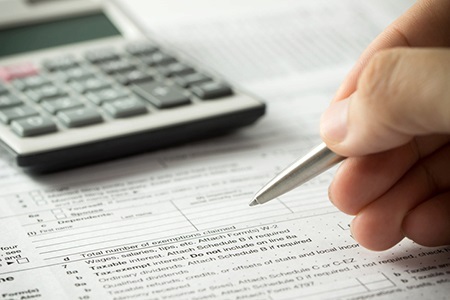 Below are a handful of suggestions to help you prep for next year’s tax season. Go digital with receipts. Gone are the days of paper receipts – or, at least, they should be gone. If you’re keeping hard copies of your expenses and manually logging them into a spreadsheet, you’re wasting time, and leaving room for error. Like most things now-a-days, there’s an app for that. Using QuickBooks Self-Employed, you can connect your bank account or credit card and auto file all your expenses in one place. You can also snap a photo of receipts to match it with a correlating expense. Automate those miles. Every single turn of the wheel that you make for your business is tax deductible – but you need to properly record it in order for the miles to be eligible. Writing down miles manually only to enter them into a spreadsheet later is a waste of time, and a call for errors. Instead, get an app that will automatically track your trips for you. Many of these apps will auto start when you begin driving. When your drive is over, the app will prompt you to categorize the trip as personal or business, and some will show how much money in deductions you’ll get per trip. Do your quarterlies. To stay on top of your annual taxes, you should also stay on top of your quarterlies. The easiest way to do this is to keep your income and expenses up-to-date in your accounting software, which will estimate your quarterly taxes for you. By staying financially organized year-round, taxes should be a breeze next year.